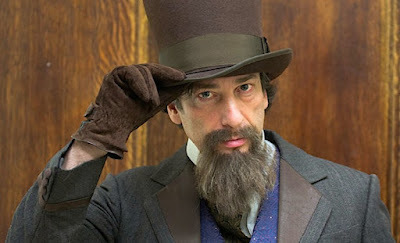 Listen to author Neil Gaiman read the classic A Christmas Carol. Acclaimed author Neil Gaiman performs a memorable dramatic reading from NYPL’s own rare copy of "A Christmas Carol," which includes edits and prompts Charles Dickens wrote in his own hand for his unique public readings 150 years ago. Dressed in full costume and joined by writer and BBC researcher Molly Oldfield, Gaiman performs the classic tale as its great author intended.